In Part I, I discussed some of my recent research on romantic couples. My results suggested some things we do to maintain our relationships are scarce, and others are not. If a behavior is scarce, then if I give it to you, I can’t give it to someone else. That post mainly addressed shared media (e.g., TV/movies) as one such scarce behavior (as well as time and resources). But, I hope we’d agree that only watching TV doesn’t make a relationship strong. After all, by way of analogy, we need to do many different things to keep a car on the road. Changing the oil is important maintenance work, but it isn’t going to fix your brakes! Likewise, relationships need a variety of behaviors to stay healthy—and human relationships are much more complex than cars! Among the ways we maintain our relationships, the kind of talk we use is of utmost importance. Consider the Hebrew proverb: “Death and life are in the power of the tongue, and those who love it will eat its fruits.” (Proverbs 18:21, ESV). Between couples, talk can craft a relationship of shining beauty or soul-crushing brokenness. The words we use in our close relationships matter. Of course, the next logical question is: Which of these types of talk is most important to the health of a relationship? The answer is: all of the above! Close couples were more likely to use all types of talk in their relationships! It isn’t just the deep conversations. We typically think of our closest relationships as those where we can share our deepest thoughts and feelings. But, that’s not always a sign of a super-close relationship. Some people disclose very private thoughts to counselors or clergy, but don’t share the mundane details of their lives with them. In some ways, sharing our daily events over a period of time is much more intimate than one episode of deep sharing. Conflict can be healthy. This study wasn’t mainly about conflict, and certainly conflict can be destructive. When approached with the desire to sacrificially love the other person, and the heart to work toward the best solution possible, conflict also can improve our relationships and make them resilient. In this study, the closest couples didn’t always run from conflict. Variety is key. These talk types are remarkably diverse! If your conversation is always light and fluffy, or always super-duper-deep, that could be a problem. 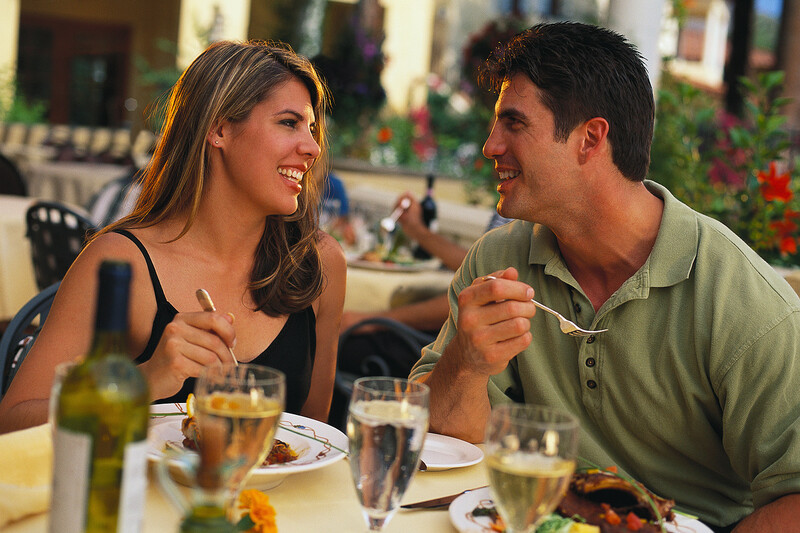 Just as the body needs a variety of foods to stay healthy, so romantic relationships need a variety of talk. Finally, one type of talk emerged as uniquely important. All the talk types reflected a close relationship, but one especially did, and that’s verbal affection. In other words, the closest couples say “I love you” to each other frequently! It strikes me that some couples probably don’t say those words enough, and for others they say it without much meaning. My gut feeling is that it’s best not only to verbalize affection, but also to mean it when we say it. So is talk cheap? Maybe—but it certainly isn’t scarce. And it’s important. What kind of talk would your romantic partner most like to hear today? Whether it’s revealing the secrets of your heart, facing a long-standing conflict, or simply chatting about your day, that talk could improve the health of your relationship. < Previous My social networking site course featured in TCU Magazine! On a related note, have you read anything by John Gottman? If you haven’t, I recommend “The Seven Principles for Making Marriage Work.” It’s the best book on marital conflict and conversation I’ve ever read. I’m familiar with Gottman’s research, but I haven’t read him in original source form. He has certainly made some of the most towering scholarly contributions to the understanding of interpersonal relationships! So I probably need to get to reading him at some point!